Madonna and Child with Flowers, otherwise known as the Benois Madonna, could be one of two Madonnas started by Leonardo da Vinci, as he remarked himself, in October 1478. The other one could be Madonna with the Carnation from Munich. 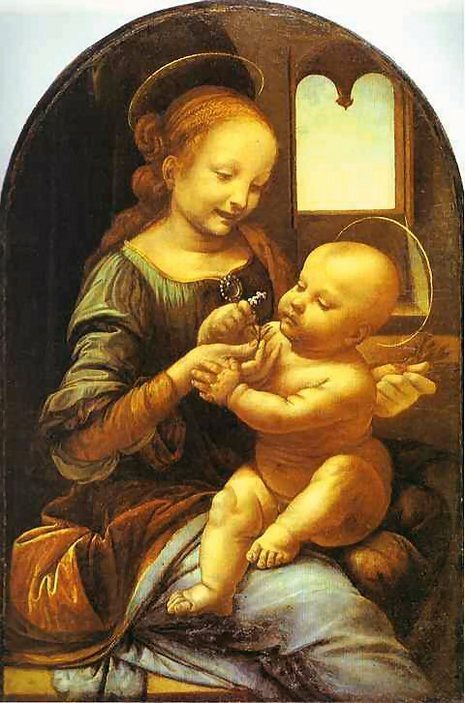 It is likely that the Benois Madonna was the first work painted by Leonardo independently from his master Verrocchio. 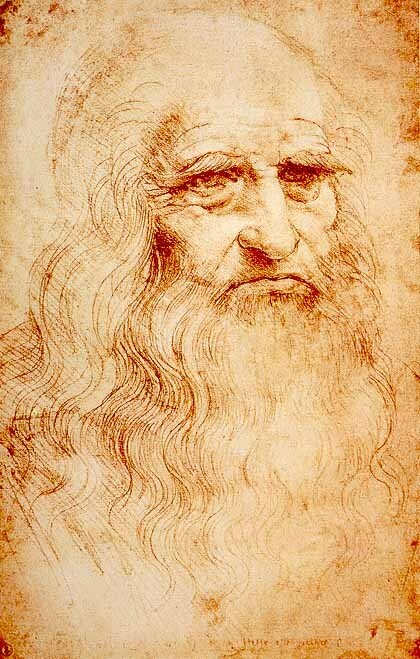 The British Museum owns two of Leonardo's preliminary sketches for this piece. The composition of Madonna and Child with Flowers proved to be one of Leonardo's most popular. It was extensively copied by young painters, including Raphael, whose own version of Leonardo's design (the Madonna of the Pinks) was acquired in 2004 by the National Gallery, London. For centuries, Madonna and Child with Flowers was considered lost. In 1909, the architect Leon Benois sensationally exhibited it in St Petersburg as part of his father-in-law's collection. The painting had been apparently brought from Italy to Russia by the notable connoisseur Alexander Korsakov in the 1790s. Upon Korsakov's death, it was sold by his son to the Astrakhan merchant Sapozhnikov for 1400 roubles and so passed by inheritance to the Benois family in 1880. After many a squabble regarding attribution, Leon Benois sold the painting to the Imperial Hermitage Museum in 1914. Since then, it has been exhibited in St Petersburg. Dating Leonardo's early works, or proving authenticity, is particularly difficult. This picture was probably painted somewhere between 1475-1480 when it is recorded that Leonardo produced several Virgin Marys, though it has been heavily over painted since that time. A note made by Leonardo on a drawing suggests that the Benois Madonna may be one of two Virgins started in the final months of 1478, the other being the Madonna with the Carnation. Even though Leonardo was still at Verrocchio's workshop these may be the first figures he conceived and realised in total independence from his master. In any work attributed to Leonardo it is necessary to examine what may make the piece doubtful. With Benois Madonna it is in details like the ears which are simply too inaccurate for a man who paid an almost meticulous attention to anatomy. The Child almost floats in the lap of the Virgin while her smile is almost impressionistic, not typical of Leonardo. Also lacking is the fine attention to the draperies and one might query why there is no landscape through the window.